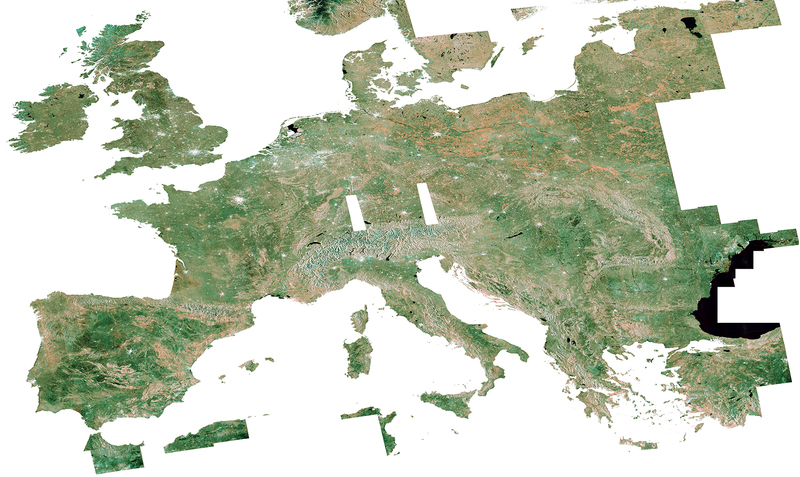 Sentinel-1A mosaic over Europe, generated using 400 ascending scenes from May to July 2015. Processing involved radiometric calibration, multi-looking, terrain correction at 120 m resolution, and spatial mosaicking using ESA’s SNAP/Sentinel-1 Toolbox. The original 120m resolution product is made available for download. It is a 3 GB GeoTIFF. You can download it from here.